A couple of jpegs of Le Figaro. They show “the best-loved most widely read writers” in France. Guess who comes out way way ahead of everyone, for all time? Way, way ahead. Yep, Victor Hugo. The other stars of A Passion for Paris: Romanticism and Romance in the City of Light are in the top-20. The best-loved contemporary writer is Marc Levy. What does he write? Romantic literature—meaning Romantic with a capital “R” and also romantic as in purple and gushy. Guess what his latest book is titled? “Elle et Lui” – She and He or Her and Him if you prefer to be ungrammatical. 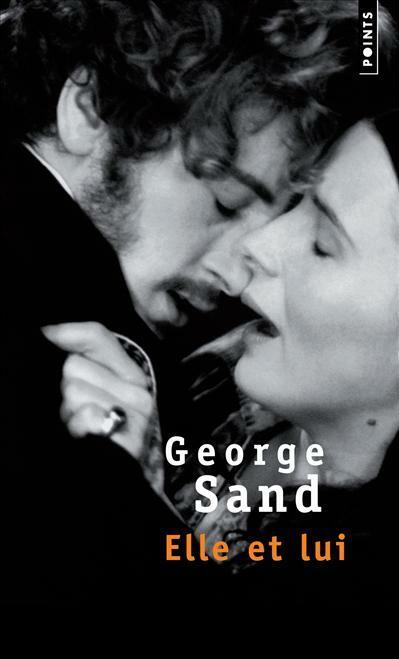 Guess what the title of George Sand’s famous novel is called, the one about Sand's wild love affair with poet and playwright Alfred de Musset, about 180 years ago? Yep, same title, “Elle et Lui,” and the theme is similar. It is amazing: the French still live, breathe, love, philander and view the world through the lenses of the Age of Romanticism. This I could not invent. Levy’s book came out in February, 2015. The pole about favorite French writers came out in Le Figaro on March 19 (ahead of the Paris Book Fair). Happy reading: the past is present, the present is the past, and tomorrow will be yesterday the day after tomorrow (and France will still be reading George Sand, Victor Hugo… and the rest of the Romantic crew).